Mission statement of The Brussels Circle of Diplomatic Artists. 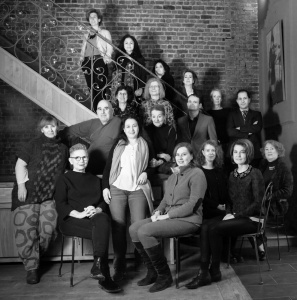 The Brussels Circle of Diplomatic Artists is a platform and a network for artistically creative members within the Diplomatic Corps in Brussels. It is inclusive in its nature and open for all fields of artistic creativity. In supporting and encouraging diplomatic artists in Brussels, it connects them with each other as well as with other artists and friends here in Belgium. ALL Diplomats and Friends who are artistically creative and serious about their work are welcome in the Circle. The Circle’s aim is to foster collaboration, cooperation and support amongst its members and promote goodwill between the Diplomatic Community and the people of Belgium. To this effect the Circle intends to organize various activities. The upcoming exhibition/event is therefore not an end in itself. It is a step on the way, aiming to show all the creativity present in the Circle.